For more than 200 years, scientists have been observing, measuring, and analyzing information about our planetÃ¢ÂÂs climate. Studies show that the earth is in constant transition and humans have an effect on what happens. 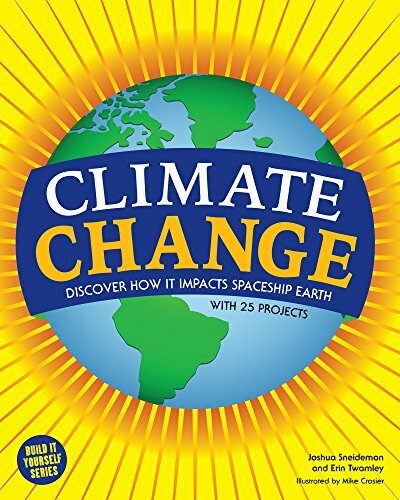 In Climate Change: Discover How It Impacts Spaceship Earth, young readers examine real studies concerning planetary science, Arctic ice bubbles, and migratory patterns. Kids explore the history of human impact from the Industrial Revolution to our modern-day technology, as well as the innovations underway around the world to address global climate change. The idea of climate change can be scary, but every one of us has the ability to make a difference. Focused on a pro-active approach to environmental education, Climate Change engages readers through hands-on activities and helps kids deconstruct myths about our changing world. Kids are directed to digital supplemental material that makes complex concepts easier to understand through visual representation. Climate Change offers a myriad of ways to think of our Spaceship Earth as the singular resource it is. Climate Change meets Common Core State Standards for literacy in science and technology; Guided Reading Levels and Lexile measurements indicate grade level and text complexity. About: For more than 200 years, scientists have been observing, measuring, and analyzing information about our planetâs climate.